Our library collection can be found in the local history section at the Four Corners Branch of the Brampton Public Library, 65 Queen Street East in Brampton, near the Peel Archives (PAMA) – phone: 905-793-4636. 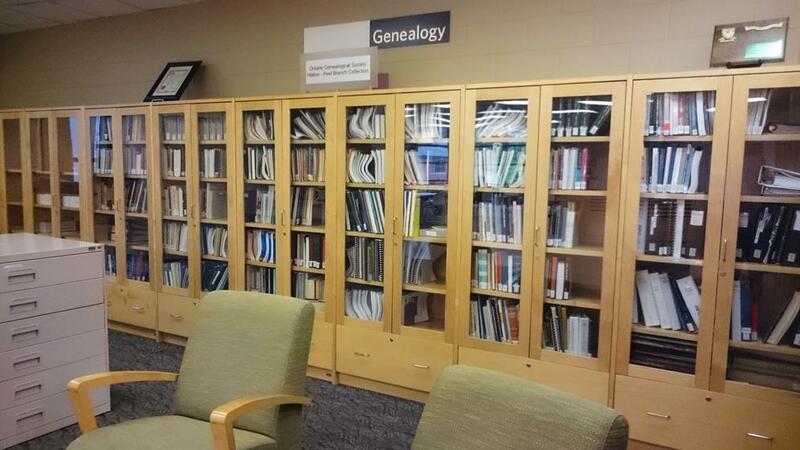 It contains over 1,300 items, most of which cover the counties of Halton and Peel. In addition, there are how-to books, periodicals, and books containing information relating to other locations in Canada, the United States, the United Kingdom and Ireland. The collection has been catalogued to library standards and integrated with that of the Brampton Public Library’s on-line catalogue system. To search for our materials, either use the below links to view the appropriate listing and then use your browser’s search feature, or search using Brampton library’s online search. When you visit the library, go to the second floor and ask at the reference desk for the item you wish by its call number and title. In order to access items you must present either your OGS membership card, your Brampton library card, or your driver’s license. 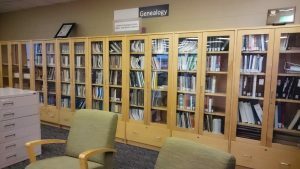 Items may not be removed from the local history reference area of the library and are not available through inter-library loan. The Halton-Peel Branch gratefully acknowledges the receipt of a grant from the Ontario Trillium Foundation which allowed the branch to catalogue its library collection. The material is now more accessible to the general public, who can use it to learn more about their community and family history. The Ontario Trillium Foundation is an agency of the Government of Ontario. Zimmerman United Church : a history 287.9209713533 Zim"
The little schools of Grey Hubbert, Mildred Young. 1982 371.010971318 Hub"